MANILA, Philippines—Senator JV Ejercito is confident that he did not make any transaction with alleged pork barrel scam mastermind Janet Lim-Napoles that he is willing to pay up to P20 million to anyone who could prove otherwise. 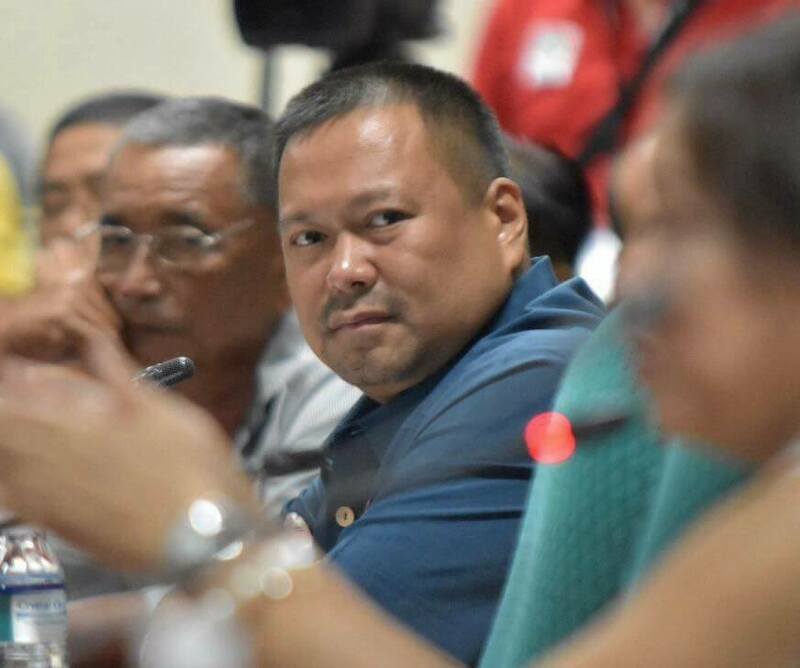 Ejercito challenged those implicating him in the P10-billion pork barrel scam on Friday to come out, saying he would be willing to pay them millions of pesos if they could prove his involvement in the anomaly. “Kung sino ang makakapagpatunay na meron akong pondo na napunta kay Napoles at pumunta sa kanyang NGO, kung magkano man ‘yung amount whether P5 million, P10 million, P20 million, ibibigay ko. Ako mismo magbabayad para lamang mapatunayan,” he said in an interview with Radyo Inquirer 990 AM. In a previous Philippine Daily Inquirer report, records of whistleblower Benhur Luy showed that Ejercito supposedly allocated P5 million worth of projects through the Department of Interior and Local Government (DILG) when he was still San Juan representative in 2011. Ejercito confirmed that his office disbursed a P5 million to DILG for San Juan’s request of peace and order equipment, including motorcycles, tear gas, vests for Barangay (village) officials. “We went through our records again and we saw that the transaction did not push through. For some unknown reason, the fund was not used” he explained. He said that even the National Treasury sent them a receiving a letter declaring that the P5 million has already been returned to the government. “Congressman lang ako noong senador mga kausap niya. Siguro masyado akong nobody… Nakita ko ‘yan minsan pero hindi ako pinansin niyan (I was a congressman during the time she was dealing with senators. Maybe I was a nobody to her. I saw her one time, but she just ignored me),” he recalled. Ejercito also cited his brother, Sen. Jinggoy Estrada, as another reason as to why it would have been incredulous for him to make any transactions with Napoles. Estrada was earlier recommended by the Senate to be charged with plunder also for his alleged transactions with Napoles. “We know the history. My brother got mad when I signed the Blue Ribbon Committee Report. Our rift [was] public ever since,” Ejercito said. He said his rift with his brother and the latter’s supposed links with Napoles would dissuade him from making any transactions with the businesswoman. “Kaya natural na kung sino ang kaibigan ng aking kaaway, hindi ko rin kaibigan (So naturally, a friend of my enemy won’t be my friend),” he pointed out. LTFRB’s New Order May Just Exacerbate Concerns on Public Transport, Says Ejercito.